How'd They Win; Why'd They Lose - Don't they Learn? 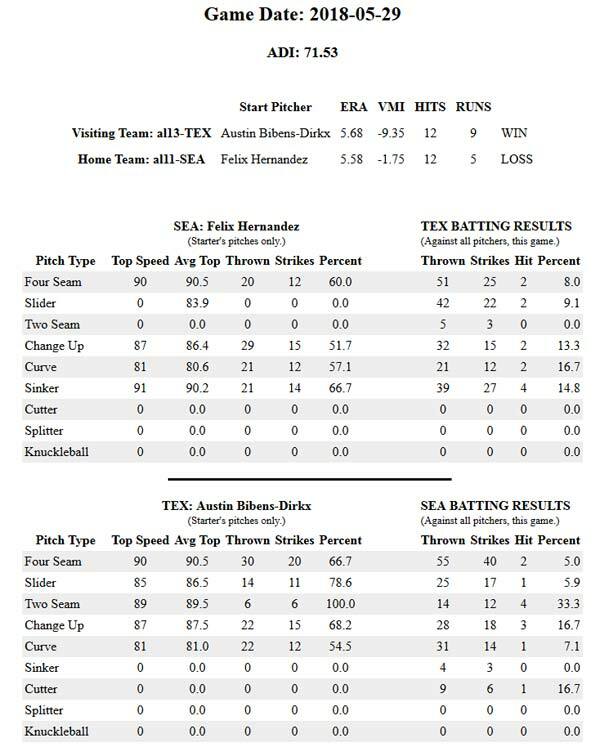 Tuesday’s game between Texas and Seattle was just as intriguing to me as was Monday’s game. Why? Because, once again we have a high minus VMI team (TEX) vs a low minus VMI team (SEA) and there does not seem to be any learning going on in Seattle. We all know that when a team wins game 1, then game 2 often goes the other way and makes a bad showing look a little better. But, do the coaches and managers learn nothing, or is it just that they are older, more experienced, so they don’t know how, or care to look at data? The following game summaries are part of our Pro Package View Game Reports.